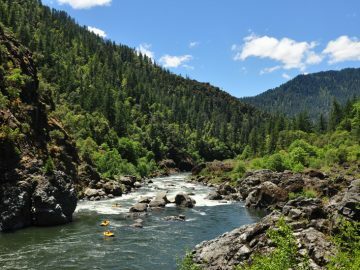 When I paddled the Klamath River from source to sea seven years ago, I had little hope that its controversial and antiquated dams would ever come down. But I tend to be cynical. 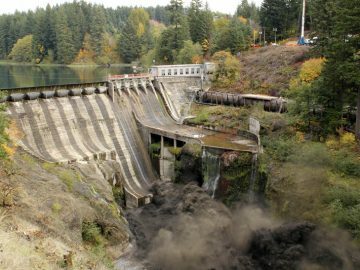 Here we are in 2016, and dam removal, on four of the Klamath’s six dams at least, seems almost a certainty. 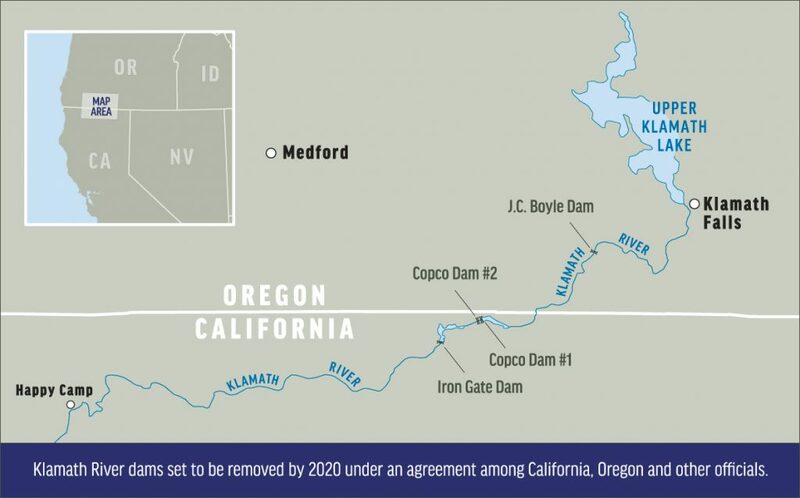 As part of an agreement signed by state and federal officials earlier this year, the Klamath River dam removal project—the biggest dam removal project in history—is expected to be completed by 2020. Cynicism – 0. Idealism – 1. 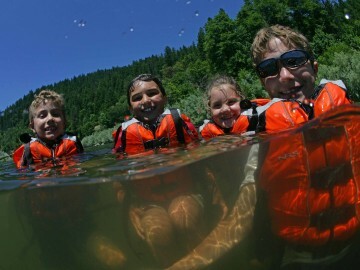 The Klamath is born of numerous springs that tunnel out of the Cascades beneath iconic Crater Lake. Clear and cold, these headwater streams appear suddenly. One minute you’re in dry pine forest, and the next you’re along an idyllic small river of gin-clear water gurgling out from a pile of rocks. It is truly surreal. Within ten miles, that bubbling purity is only a memory. Upper Klamath Lake is a warm flooded marsh 130-square-miles across and 10-feet deep. It will be a significant hurdle to returning salmon. The dam creating Upper Klamath Lake is called Link River Dam, because it links the Klamath with the nearby Lost River, and a web of irrigation canals. Next is Keno Dam. Essential to regional agriculture, neither Keno nor Link River Dam are slated for removal. At least they have fish ladders. Below Keno Dam the Klamath begins its bisection of the Cascades, one of only three rivers to do so. Four dams take advantage of this geographical quirk, and they are the ones due to come down. The first is J.C. Boyle Dam. It diverts the river into a tube. In 2009, I dragged my kayak over boulders below here until riverside springs slowly returned some flow. A few miles downstream, water is returned to the river in a concrete flume. The flume and powerhouse will soon be a historic curiosity at the put-in for the raucous Hell’s Corner section below. Hell’s Corner provides really fun whitewater in a pretty canyon. Just downstream, everything changes at the Copco dams. This was the crux of my through-trip. A steep portage in poison oak greeted me at Copco Dam #1. Copco #2 was just a low diversion, but it robbed the entire flow, leaving me with five miles of trickling, unpaddleable stream. After dam removal, this de-watered riverbed will transform back into a living river. I can’t wait to see that. Iron Gate is the last dam. Below here the Klamath is another river, running through wild mountains, and rejuvenated by crystalline tributaries. 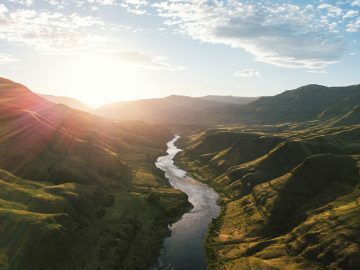 The highlights come daily; Happy Camp’s roadless loop, sacred Ishi Pishi Falls, the perfect Salmon River confluence, and the powerful and frightening river mouth where sharks and whales frolic in the surf and murrelets rocket past just feet off the waves. 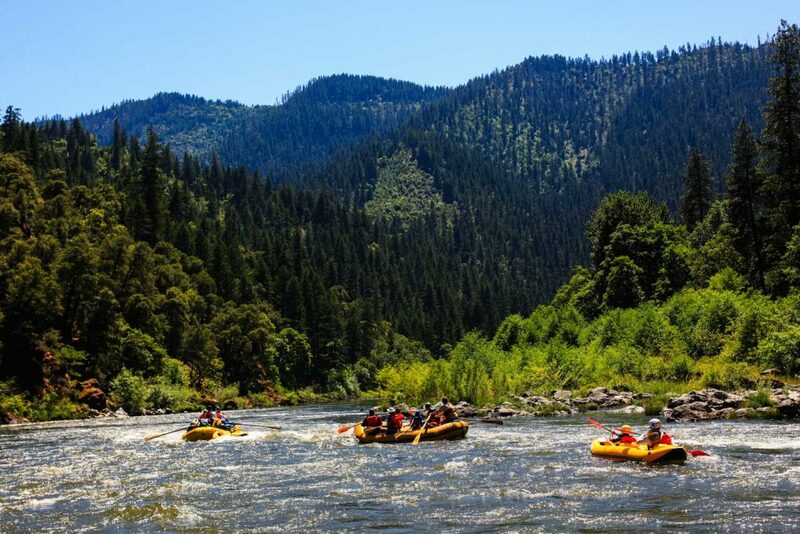 Much of the Klamath River is picture perfect, offering no apparent hint of the utilitarian insults suffered upstream. When Iron Gate and the other dams are gone, wild salmon will swim past, perhaps pausing momentarily, before gliding over once-dry boulders to find nearly forgotten spawning sites. Like the salmon, I too will travel the Klamath’s reborn waters, pausing at the former dam sites to reflect on what we humans are capable of; for worse, and sometimes for better.